Running. What is there to say about it? Despite running cross country in high school, running is just not something I’ve ever been able to get into ever since I found climbing. 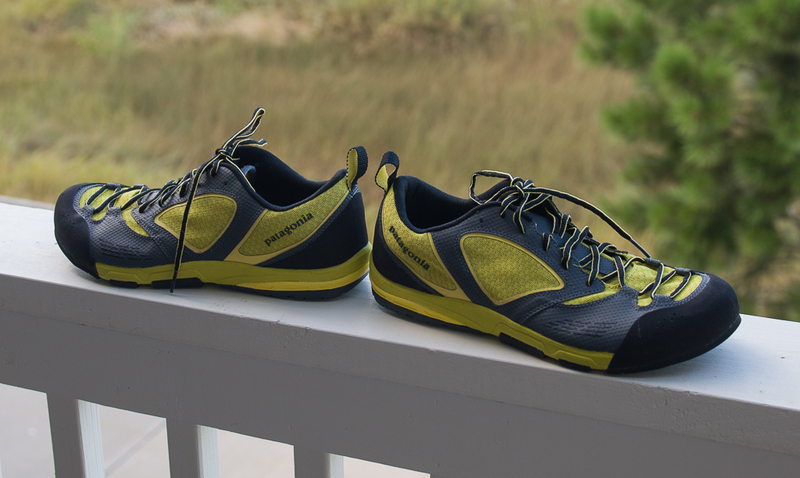 Two things have changed my views on running lately, moving to Colorado and receiving a pair of the new Patagonia Men’s Rover shoes to test out. The Colorado aspect of this should be pretty obvious as there are a lot of great places to go running around the Front Range, and the farther you can run the more cool things you can see. Even still, I didn’t immediately get into running after moving here. It still just wasn’t that much fun. 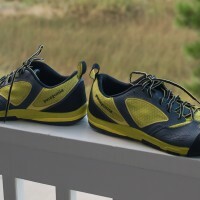 Then I was somewhat randomly sent these new trail running shoes from Patagonia, and everything changed. Running was actually fun. Weird. The Rovers have a few things going for them that I really like. First, they are super light. It’s as if you’re not wearing shoes at all…except you are. Second, even though they are light, they are designed with scrambling and climbing in mind. Since getting them, I’ve used them quite a bit running on the rocky trails around Boulder as well as on 14ers like Mt. Bierstadt. Of all the shoes I’ve worn moving almost 200 miles around the mountains this summer/fall, these are by far the most comfortable to wear, and they have left my feet in the best condition once I get back to the trailhead. Win. The Rover shoes go on sale through Patagonia’s website on November 15th, and they’ll retail for $125. I can’t claim to be an expert on the trail running shoe category, but these are definitely worth considering if you’re in the market for a lighter trail running shoe that can still perform well on vertical terrain. If you got this far in the review then a) thanks for reading and b) you’re in luck (possibly) as I have two pairs of these shoes to give away to my readers. The only caveats are that you must live in the U.S. or Canada, and these shoes are man only at this time these shoes are men’s and women’s so disregard my previous caveat. Entering is pretty simple: head over to the thread for this post and enter a comment reacting to either the video above or to the shoes in general, letting me know what feature you like most about these shoes. I’ll even throw in a bonus entry for you if you post a reply and change your avatar from the default one to something custom1. Get another entry if you share this post on a social media site like Facebook or Twitter and reference that2 as part of your post in the forum. So many ways to be eligible to win! Winners will be chosen in 1 week. Good luck! Disclaimer: Yes, these shoes were provided to me free of charge in order to facilitate this review. No, that didn’t make a difference as to whether or not I liked them. Trust me, I rather enjoyed my life on the couch before these shoes got me back out running!